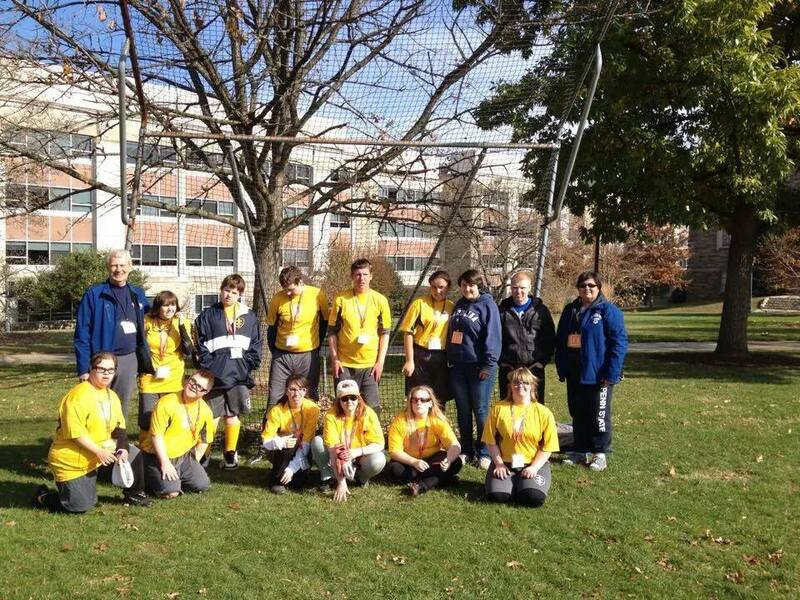 This month the 26th Annual Special Olympics Fall Festival was held at Villanova University. Carol and I were pleased to attend because three of our relatives were participating or coaching in the event. 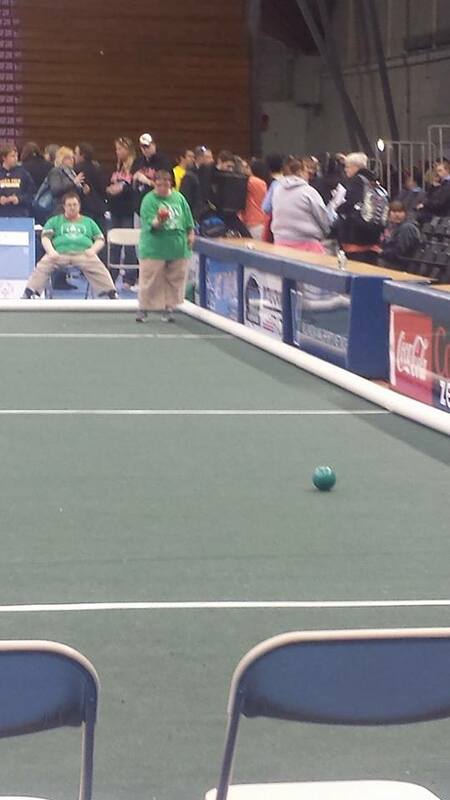 Our niece, Amy, was part of a bocce team. Jake, our grandnephew (had to look that up so I had the right moniker), participated in 11 on 11 soccer, and Nick, also our grandnephew, was part of the coaching staff for 7 on 7 soccer. My sister, Pat, and brother in law Skip were there also and we traveled from event to event to make sure that we saw everyone participating. We were very glad to see the level of play and effort in the events. All of the players were active and engaged and their play reflected well on the coaching that they received. Amy demonstrated a high level of knowledge and skill in bocce. Her approach to the bocce lawn (indoor carpeting at Villanova) showed great patience, planning and thoughtfulness. Jake played defense on the soccer team and was very focused and persistent in defending the goal, always alert for the movements of the other team and very good at anticipating their attack and foiling it successfully. Nick, as part of the coaching staff, engineered timely substitutions and made his players alert to the offensive approaches of the other team. Carol and I were stunned at the huge amount of work and time that the coaches and the staff for the teams had to put in for this to be the successful event that it turned out to be. The players are coached, chaperoned, chauffeured, cared for medically when needed (some bruised knees and turned ankles), and entertained in the evening. It is a three day event and it was heartwarming to learn about all of the work donated for the welfare and pleasure of the Special Olympic participants. The players clearly reveled in the opportunity to perform on the stages that had been set up for them at Villanova. There were many lessons made evident on this weekend about the value of volunteer work, especially when applied with such great love and concern for the people involved. 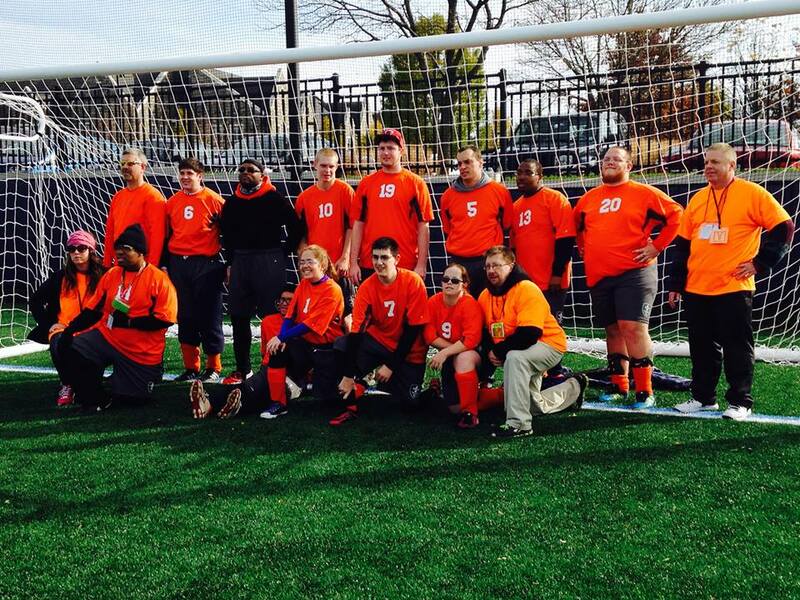 The pictures are Amy on the bocce court, Jake (he is number 10) with the team in the orange jerseys, and Nick (team in yellow jerseys. Nick is in the back row, second person from the right side. 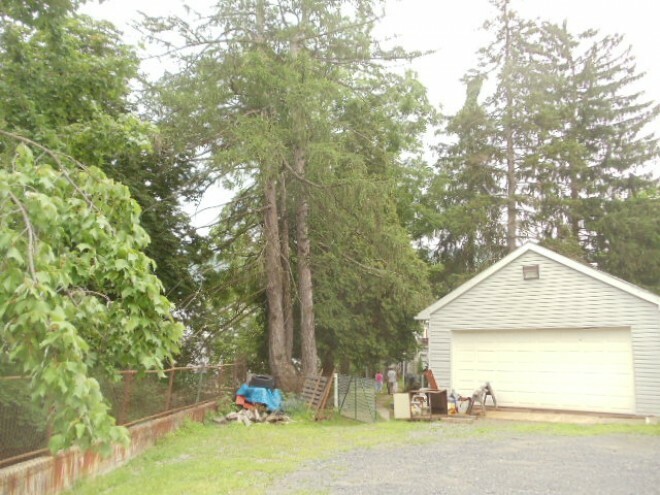 This entry was posted in Uncategorized and tagged family stories, memoir, Special Olympics. Bookmark the permalink.